February 9th, 2010 by KTU | Filed under 6. 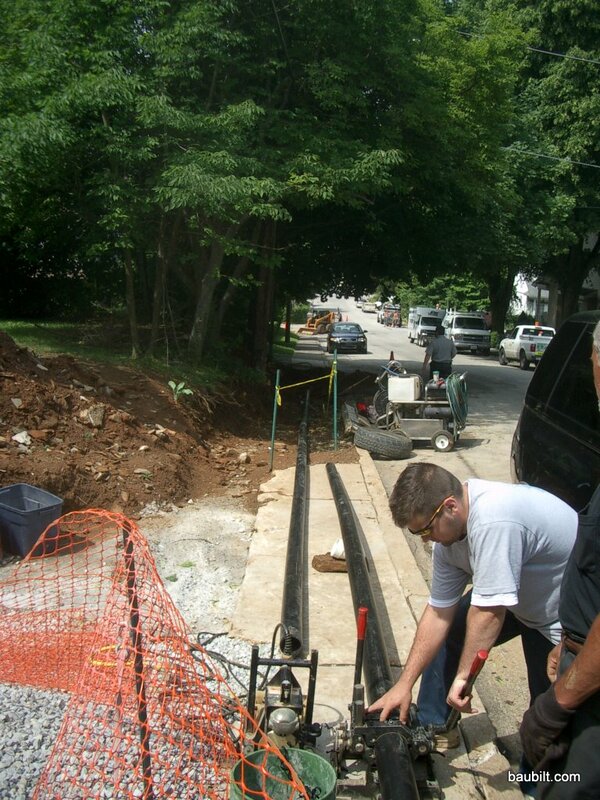 Exterior, Replacing Sewer Main. 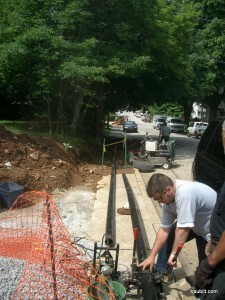 Replacing a sewer main is not that big a deal normally. It involves a backhoe, two guys, two days, and a check for $10-15 thousand. You have to reseed your lawn too. Except nothing is normal about my house. Turns out that my sewer main runs 200+ feet down the block under my neighbors sidewalk to the sewer line on the next street down the hill. The plumber said that replacing it would be $20-25k for his part, plus $15k or so to replace the half block of sidewalk and curb that would have to be removed. To make matters worse, my neighbor was an elderly woman in her 80s who would get upset when the leaves from my trees would fall on her lawn. She was not going to be wild about the renovation I would have to do to her yard. So, I did what any good DIYer does, I went to Google to see if there were alternatives. There are several. The one I liked the best involved stringing a 1 inch diameter steel cable through the sewer line and then pulling a bullet-shaped head through the line, behind which is pulled a 4 inch diameter Polyethylene pipe. By this process, the entire line is replaced without disrupting the surface of the street/sidewalk. 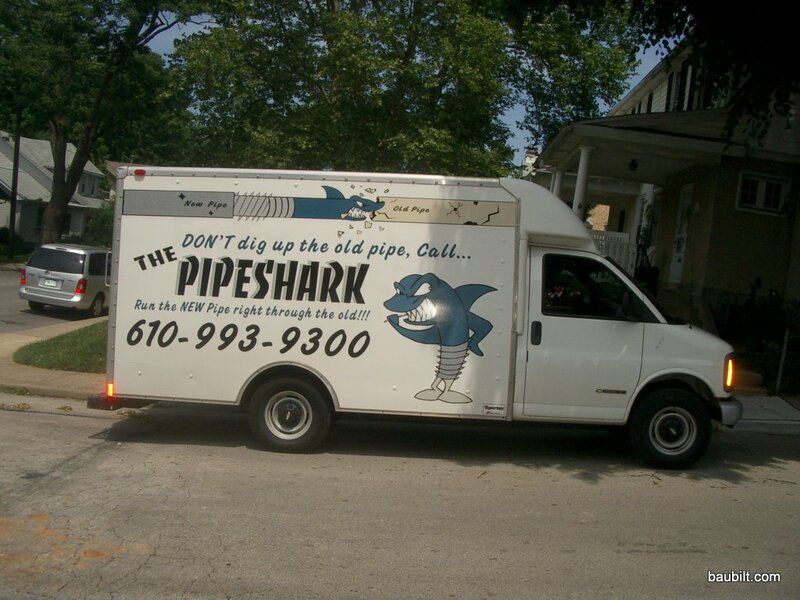 My plumber arranged for Larry the Pipeshark to come do it. It cost less than half of the conventional approach, and involved a lot less anxiety for my neighbor. 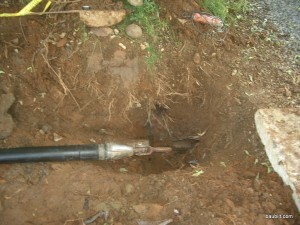 The bullet-head being pulled by the cable through the existing line. Note the poly pipe attached to the back of the bullet. The Pipe Shark in the 8x4 hole that has to be dug with a backhoe at the destination end of the process. 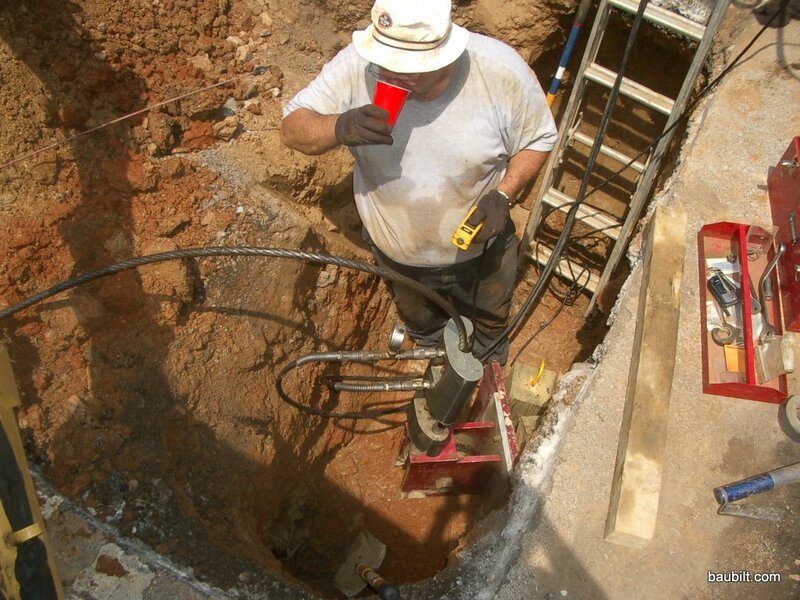 The puller is a hydraulic winch that pulls a few inches at a time. Can you please tell me about your experience with PipeShark? We have to have our sewer pipe replaced and haved just recieved a quote from them but would like someone who has had it done tell me more about it. How was the comapny to work with? Were they really as clean and efficient as they say they are going to be? Please give me any detail that you can remember. Thank you! Pipeshark did very good work for us. Our sidewalk was already torn up, so they didn’t have to return it to the original condition. They did return the street to the original condition. However, I wonder if Pipeshark is a franchise…if so, my experience would only extend to the Philadelphia-area outfit. Also, my job was done in around 2005, so things could have changed. With those caveats, I’d say I was very happy with their work. I believe it is the same Pipeshark – in Malvern. I am so nervous about this job but it’s good to hear that they did well for you. Thank you for responding.